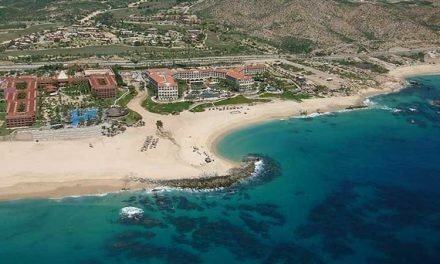 One of the newest beaches of Los Cabos—and easily one of its best—Playita Beach at Puerto Los Cabos features a safe, roped-off swimming area inside the harbor entrance, as well as a natural beach, where you can swim, skim-board, surf, or fish. 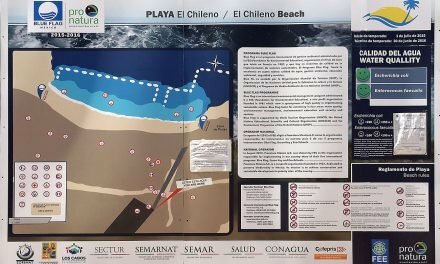 Located near the east entrance to San José del Cabo’s new marina, the beach also has a kiddies’ play structure, pristine bathrooms, and palapas to escape the rays, not to mention fishing charters. 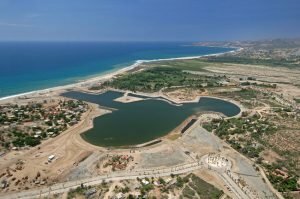 Long a favorite of locals for a Sunday-at-the-beach, the old fishing community of Playita and its beach just east of the estuary at San José del Cabo is undergoing a massive transformation into a luxury home community with a new marina, hotels and two golf courses. The existing community is being incorporated into the project along with new recreational facilities, retail stores, boat yard, a botanical preserve, and a new hilltop church. La Playita’s older markets and restaurants can be still found within walking distance of the beach. 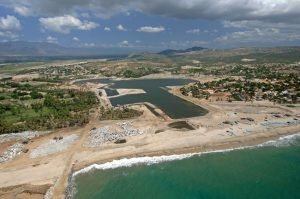 A new 500-slip marina is being completed along with a protected swimming beach inside the marina entrance breakwater. The existing open beaches outside the new breakwater are still available for public use. Summer swells often bring good surfing at the mouth of the estuary a half-mile walk to the south. The beaches here are popular with surf fisherman as well as local Mexicans who fish by casting nets overhead in a centuries old tradition. A panga fleet of local pescaderos (fishermen) departs the La Playita beach year-round taking big game fishermen on coastal fishing expeditions or further offshore for marlin. Visit in the early afternoon and you can see them drive the boats ashore through the surf at high speed. When the marina is completed, the fishermen will be given slips inside the new harbor for their fleet.